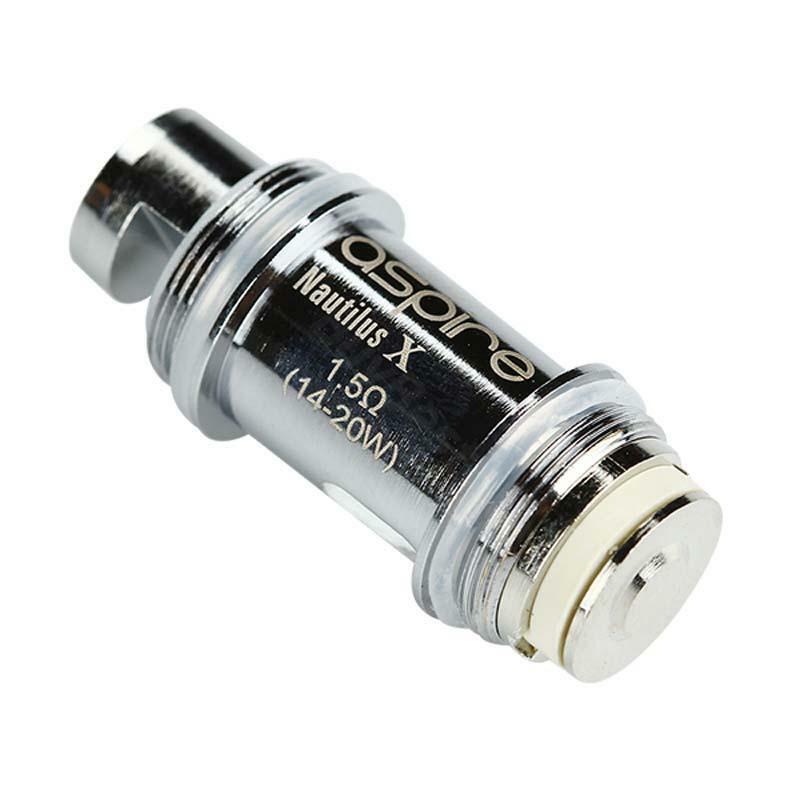 Nautilus X coils are 1.5ohm suitable for 14-22 watts. Applied incorporate U-Tech, vape flows through the U-shaped chamber and passes the Kanthal coils twice before being inhaled. • It only works with Aspire Nautilus X. Original product, still not tried, but verified aspire with ceck originality from website on the back. Aspire Nautilus X Coil is a coil of 1.5ohm or 1.8ohm for Nautilus X Atomizer Tank Vape. With 5pcs per pack.